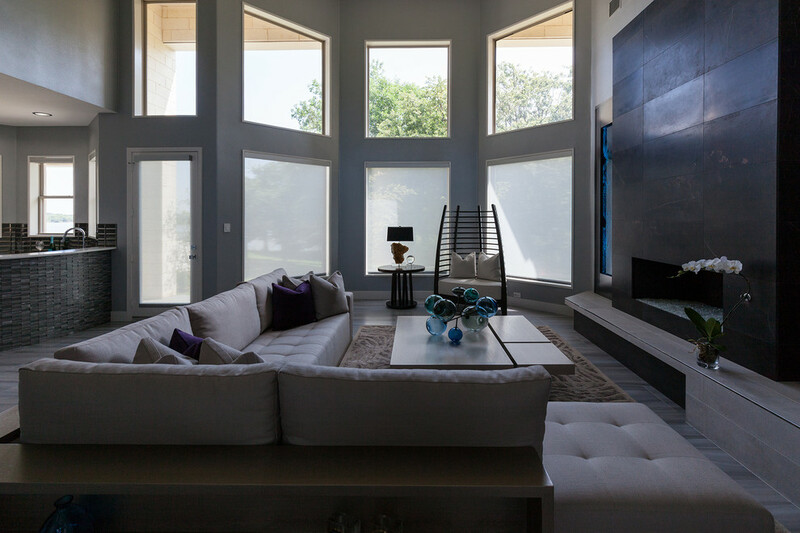 A must have contemporary living room, quite enough for day dreaming or spacious enough for a large gathering. 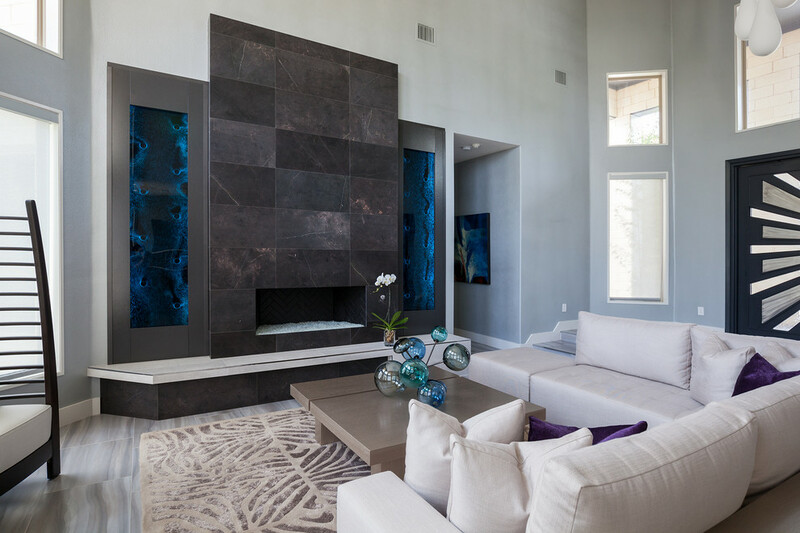 The twin water features grace the newly designed fireplace clad in Porcelanosa natural stone. The large pivot metal door accented with stainless steel surely will pique ones curiosity to enter. Metallic glazed walls soften the colors of the house.